Recently I worked for one integration focused assignment. We used integration platform from MuleSoft called Mule ESB (Enterprise Service Bus). The Mule ESB is a lightweight integration platform based in Java used to integrate different systems. 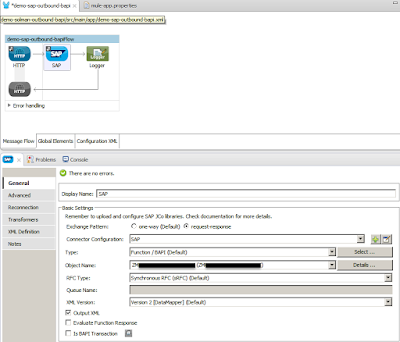 As my background is mostly SAP and in this space the SAP has its own integration platform called SAP PI it was whole new world to me to work with the mule. 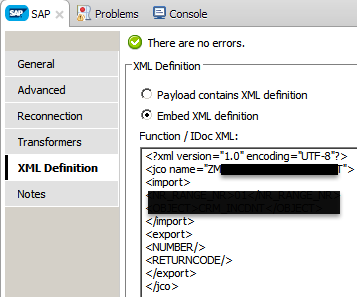 In next paragraphs I depict simple flow in the mule which calls a BAPI at the SAP side and shows the data returning by the BAPI. 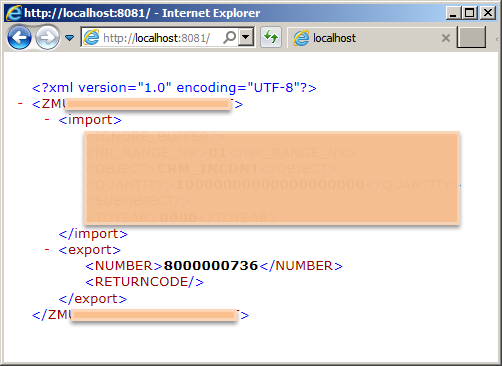 The application is started by triggering URL (http://localhost:8081/) on which HTTP Listener element listens. After that a call of the BAPI in the SAP is executed and returned data is written by Logger into the app’s web page where it was triggered from. 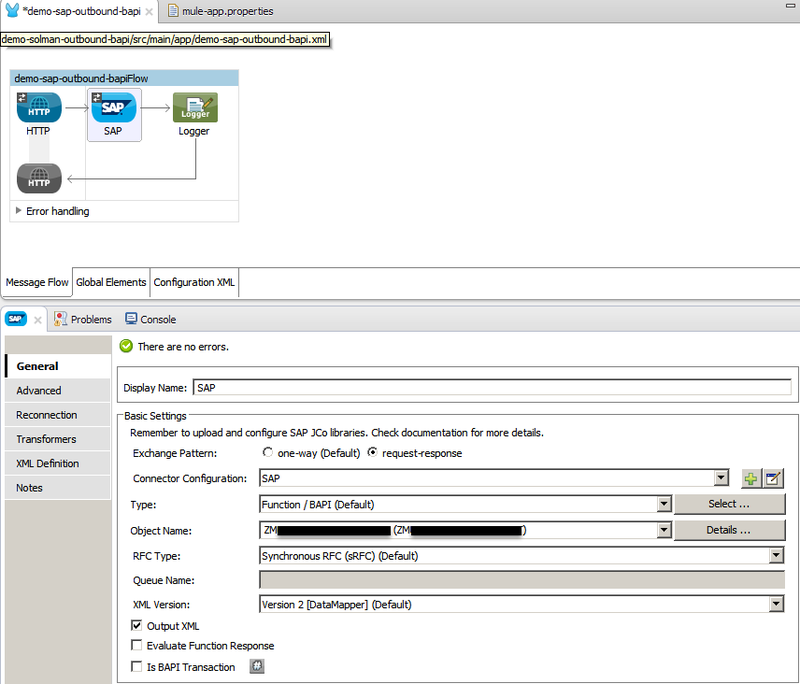 From configuration point of view there must be whole setup of ALE customizing done at the SAP side. At the mule’s side there is SAP Connector used in the flow. It is acting as trigger of the BAPI call. The BAPI name is specified in Object Name of the SAP Connector element’s properties. Along the Object Name also XML Definition (see below) needs to be provided.